Used RV sales appeal to many first time and experienced RV buyers because you can get the RV you want for a lower price than if you were to buy it brand new off the lot. But, is it really a good buy? The answer is yes, if you do it correctly. You may consider buying a used RV from a private seller or through a newspaper classified ad, but this can put you at risk for fraud and unforeseen expenses down the road. For used RV sales you need to go to a reliable dealer like PedataRVCenter.com. They not only have a wide selection of quality pre-owned recreational vehicles, but they also have information, resources and tools to make your buying experience more pleasurable. If you look at used RV sales that are done through private sellers or the newspaper or online classifieds, you will find prices that may be lower than if you were to look at a dealership. However, you must also realize that when you purchase an RV this way you have to arrange your own financing, you probably will not have warranty protection or extended warranty protection, and you will have no customer service after the sale. Nearly everyone is aware that once a car leaves the lot it depreciates very quickly, especially in the first few weeks and months. The same principle applies with RVs, which is what can make used RV sales such a bargain. If you find an RV with low mileage of a quality make and model, you will be getting the best value for the least amount of money. When you work with a dealer like PedataRVCenter.com you will find new and used RV sales of all of the best RV makes and models from the leading recreational vehicle manufacturers and companies. You will also find information about the different types of recreational vehicles from travel trailers to diesel pushers, used RV sales financing information including an online RV financing calculator to help you to figure out the amount you can afford and roughly what your monthly payment will be. You can even find links to clubs for RV owners and information about the best places to stay and camp. Used RV sales through an RV dealer have another advantage. Good recreational vehicle dealers have access to loan products that are designed specifically for both new and pre-owned RV buyers. They have flexible finance terms and competitive rates that you will not find at a traditional bank or credit union that only has general loan products not designed specifically for used RV sales. 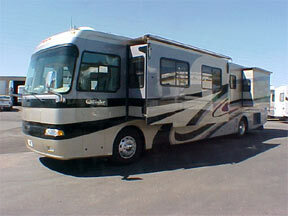 You can also consign an old RV or trade it in and use the proceeds towards your down payment on your new RV. 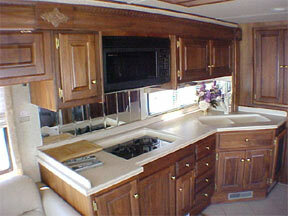 If you are still unsure about used RV sales, you might want to consider an RV wholesaler. Pedata is a wholesale dealer of the top-ranked Holiday Rambler line. Wholesale prices are considerably lower than those you would find at other dealerships and you are getting a brand new RV. You can save thousands of dollars this way and have your RV custom designed to meet your unique taste. Whether you decide to buy a new or pre-owned RV, make sure that you are well-informed of all of your options and choices in the types and styles of recreational vehicles, the financing, and the customer service after the sale. Then, when all is said and done, all that is left for you to do is take that trip out to see the kids across country, or spend that time with your family at the lake or the beach. The choices are up to you.